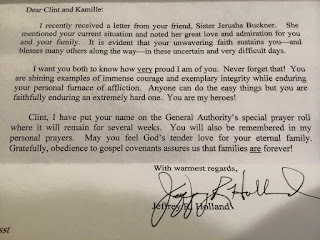 Last year we got a letter that's helped change our lives and give us hope in our darkest of times. 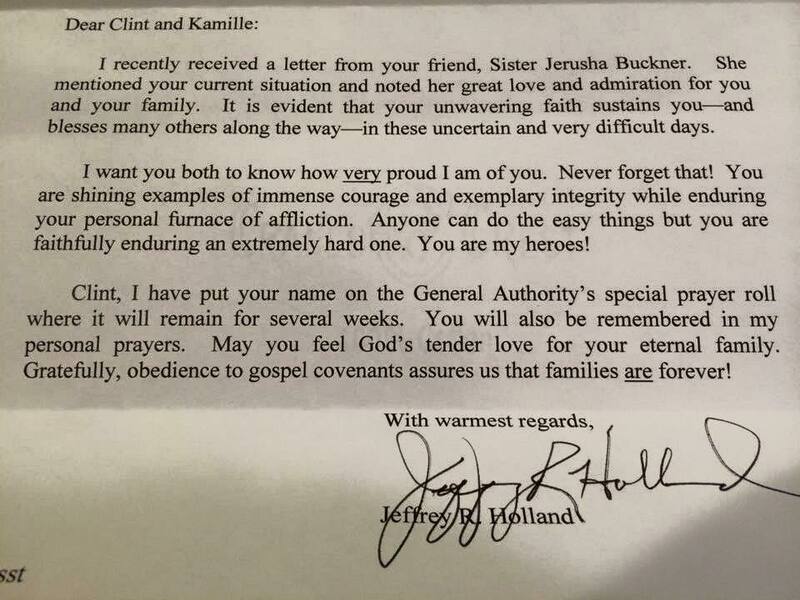 His letter hangs in a frame on our wall and has helped us and given us strength more times than we can count. 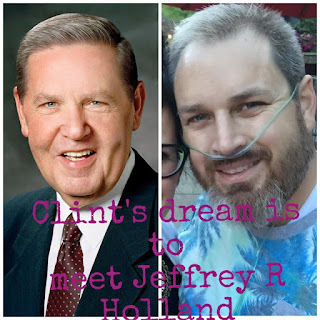 One of Clint's dreams would be to meet the apostle Jeffrey R Holland! All the apostles and the prophet are amazing. But If you happen to know how we can make this dream possible please let us know! Please share this so we can help my Cancer Warriors Dream come true! !